Florence + The Machine, Thirty Seconds to Mars and Bring Me The Horizon will headline EC7. Winter Sale starts now. Get your pass for 399 RON: www.electriccastle.ro/tickets. Spread the news and tell us below what acts you don’t wanna miss. 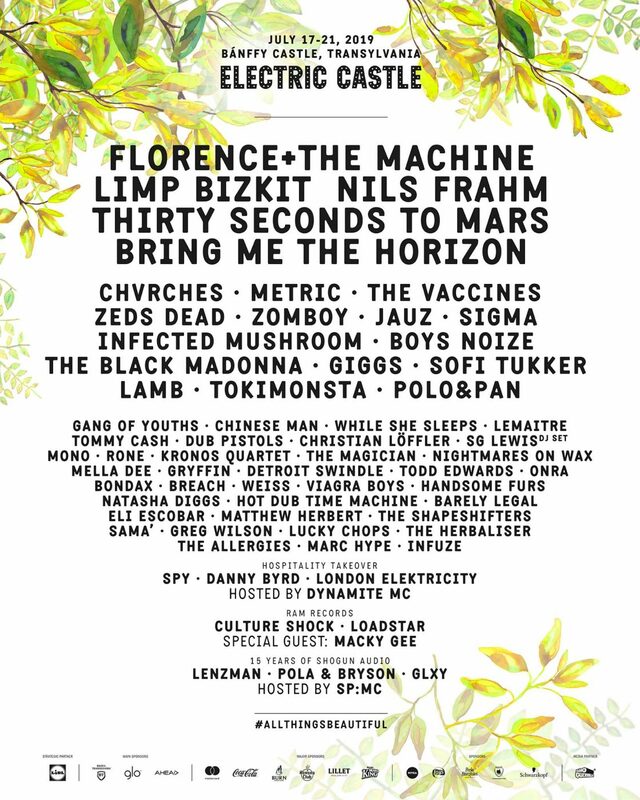 The most beloved annual music event in Romania, Electric Castle is a unique and genuine five days festival experience that happens every year at the Bánffy Castle domain in Bonțida – a tiny historic village near Cluj Napoca in Transylvania.